Online ordering menu for Red Pepper. 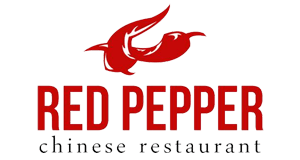 Located just north of the Hillcrest Shopping Center and a few blocks north of the KU campus, Red Pepper is a great place to go if you are looking for an authentic Chinese meal after a long day of shopping or because you are hungry for great Chinese. Our specialities include Orange Chicken, Sesame Chicken, Lo Mein and our Crab Rangoon is the best in Lawrence.